The AR6270T receiver is a feature-packed, 6-channel receiver with integrated full-range telemetry. 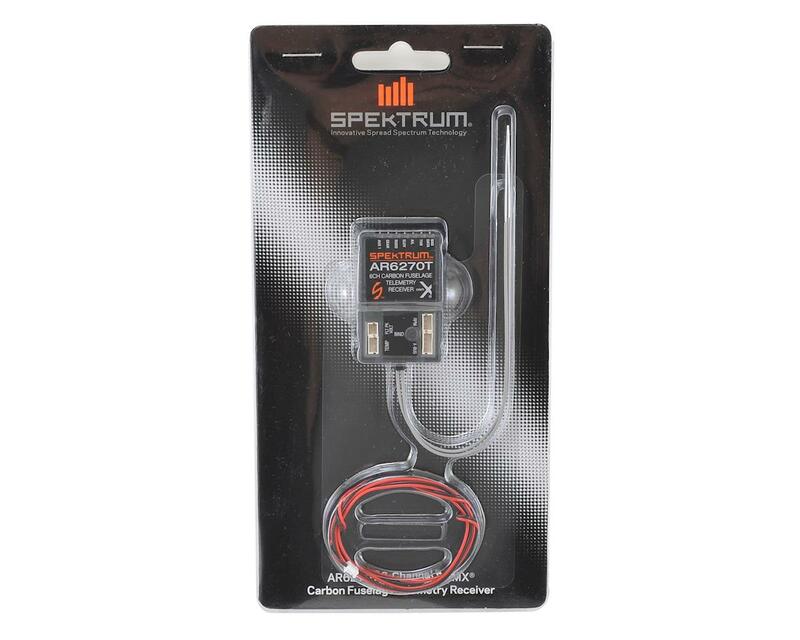 It comes with built-in connection ports for RPM, Flight Pack Voltage and Temperature sensors as well as an X-Bus port for additional telemetry options. 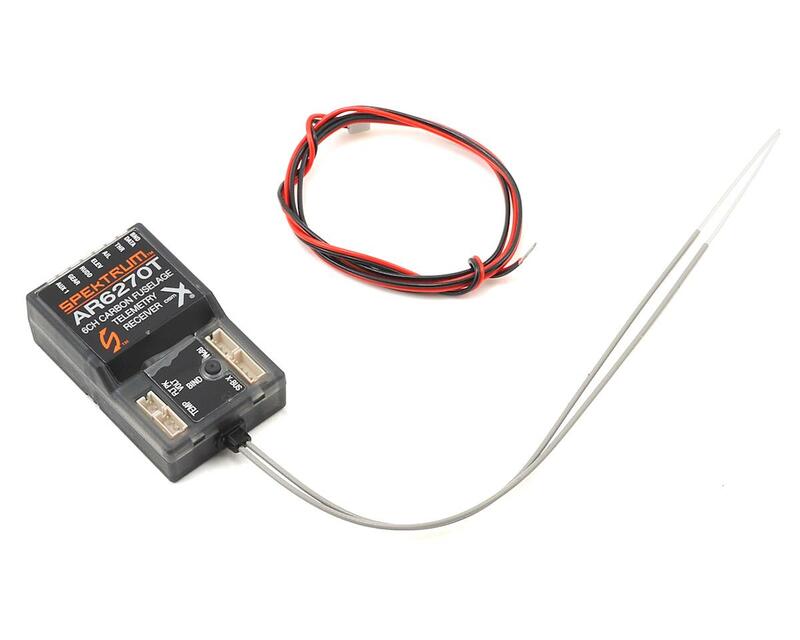 No sensor is required to receive Flight Log or receiver pack voltage telemetry. The AR6270T was designed specifically for carbon fuselage aircraft and includes a special antenna design that overcomes RF limitations by allowing you to route the antennas through the side of the fuselage to the outside of the aircraft.